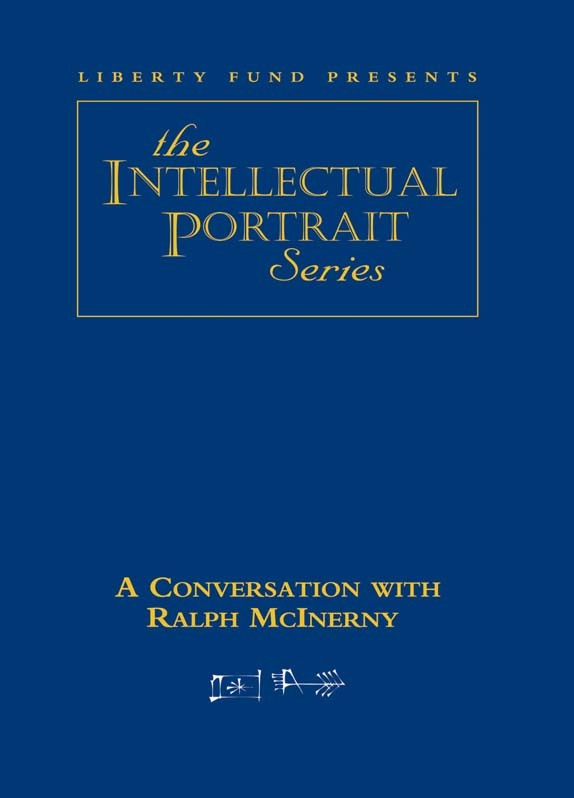 Ralph McInerny is among the most noted Catholic philosophers and authors of our day. He has taught at the University of Notre Dame since 1955, and since 1978 has been the Michael P. Grace Professor of Medieval Studies. He also serves as Director of the Jacques Maritain Center at Notre Dame. McInerny has written a number of important works on St. Thomas Aquinas and helped found Crisis magazine, a publication that addresses problems facing contemporary society from the standpoint of the Catholic tradition. Alongside his academic work, McInerny authored the best-selling and internationally acclaimed Father Dowling Mysteries, which were also made into a series for public television, and he was appointed to President Bush’s Council for Arts and the Humanities. DVD. © 2002. 65 minutes.